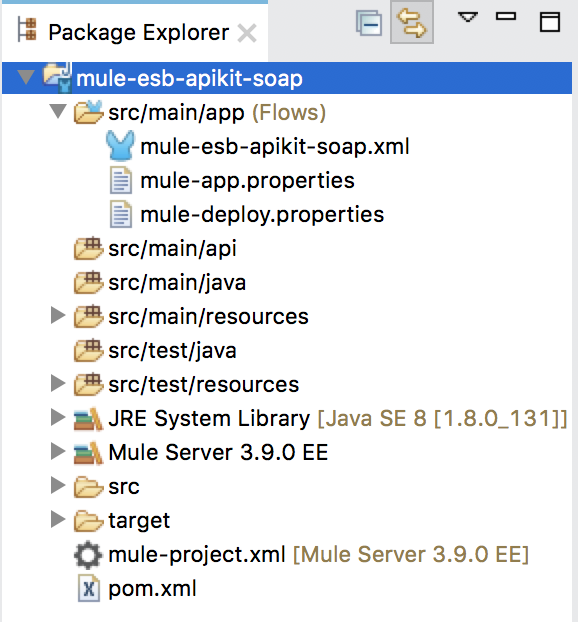 In addition to using the CXF Component to expose a SOAP Web Service, we can also use the APIkit SOAP together with a WSDL file to do this in the Mule ESB. How is it in details? Let’s find out in this tutorial. 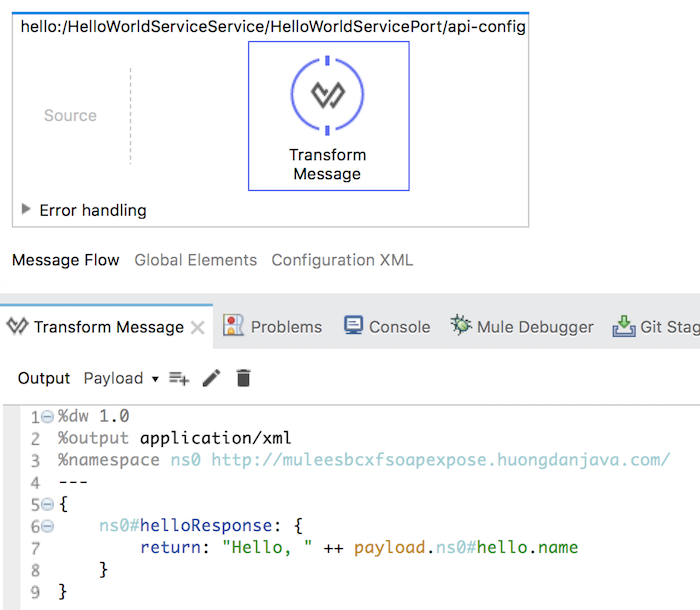 This WSDL defines a SOAP Web Service with an operation named “hello” that allows the user to send a SOAP message containing the name of someone in the <Body> section (for example, my name, Khanh). The <Header> section of the request message will contain the clientId information of the device sending the message. Implementation of the response section, which we will use the ESAP SOAP APIkit to do, is because of us. I will build to respond to the message “Hello, Khanh” for simplicity. I will put this file into the /src/main/wsdl directory of the project. Then you will see the wsdl directory included as the source folder of the project. Please put our wsdl file into this folder. OK, now let’s go to the main topic of this tutorial. to get these files, then install them into the Local Maven repository. You can see the guideline for installing dependencies into the Local Maven repository here. 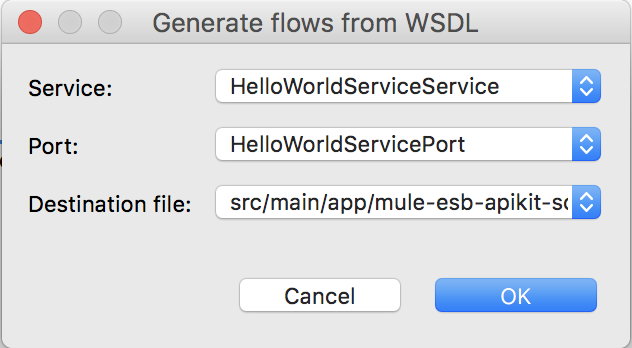 OK, after adding the dependencies, right-click on the hello.wsdl file in the example project and select Mule, then select Generate Flows from WSDL. 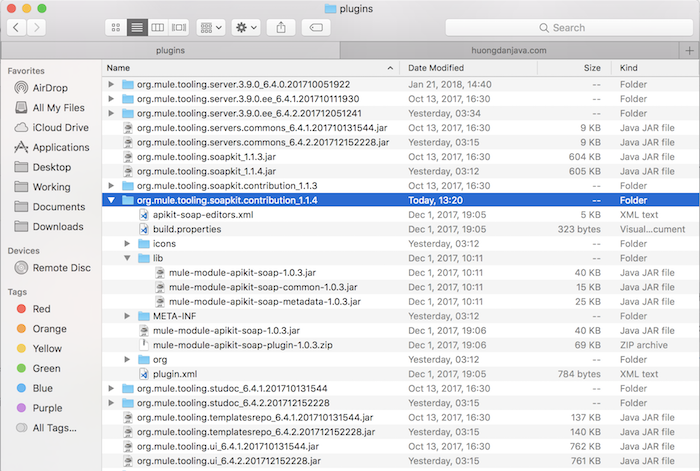 allow us to choose the Mule Configuration file to generate Mule Flows. You can leave the defaults and click the OK button. 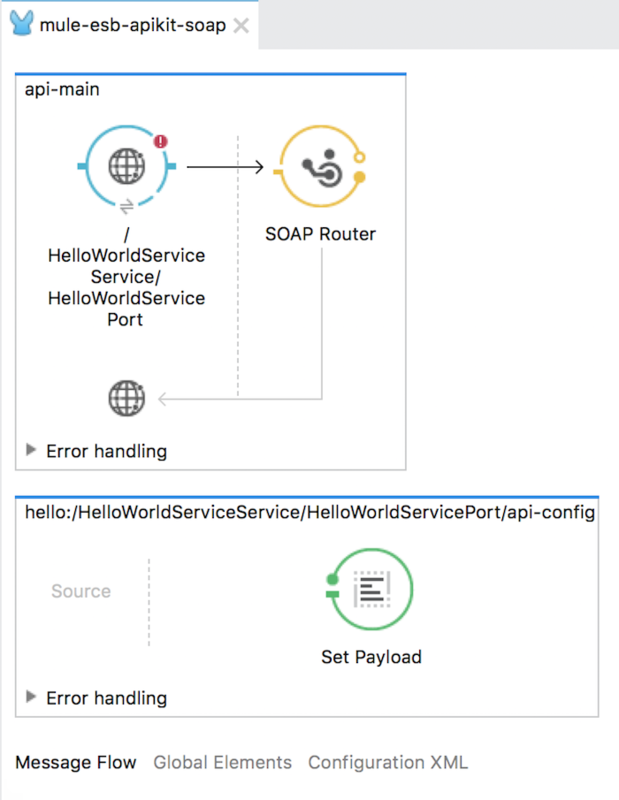 As you can see, Anypoint Studio has generated Mule Flows using the APIkit SOAP with an api-main Mule flow will receive requests from the client, each SOAP Web Service operation will be generated as a Mule Flow. Our task is to implement the Mule flow for each operation. You can remove this Set Payload endpoint to implement this flow in your own way but must conform to the definition of your WSDL file. 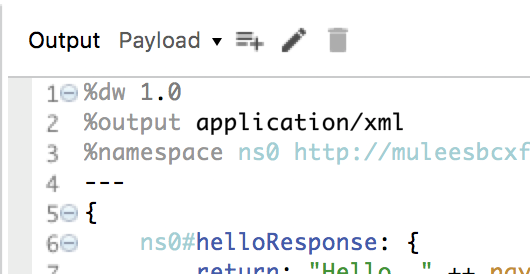 Similar to the Web Service Consumer connector, the Payload part of the Mule Message will automatically convert the <Body> element of the SOAP response message. Please select Output and enter Variable name as above. You will now see the endpoint of the HTTP Listener Connector being corrupted. 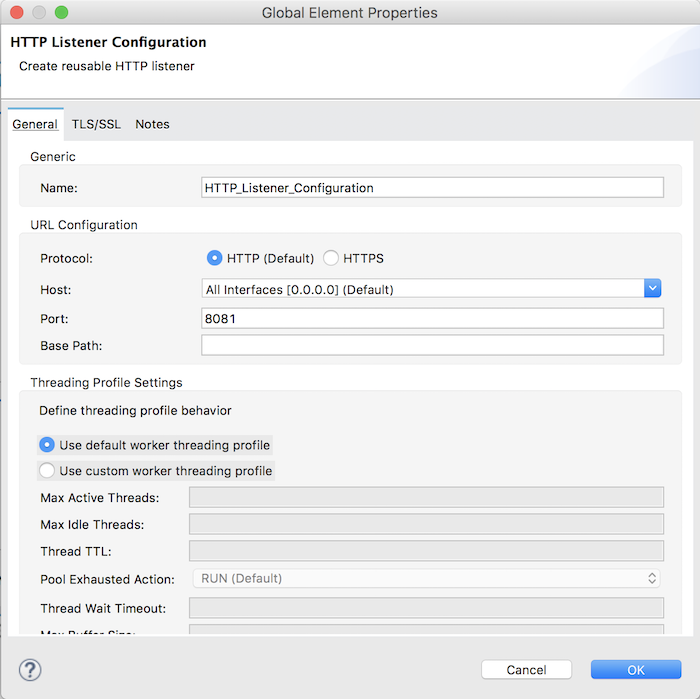 The cause is that after generating from the WSDL file, the Global Configuration of this connector has not been created. Please configure it, can see the guideline here. OK, that’s all, let run our application now. Suppose, I have a HTTP Request connector after Transform message. 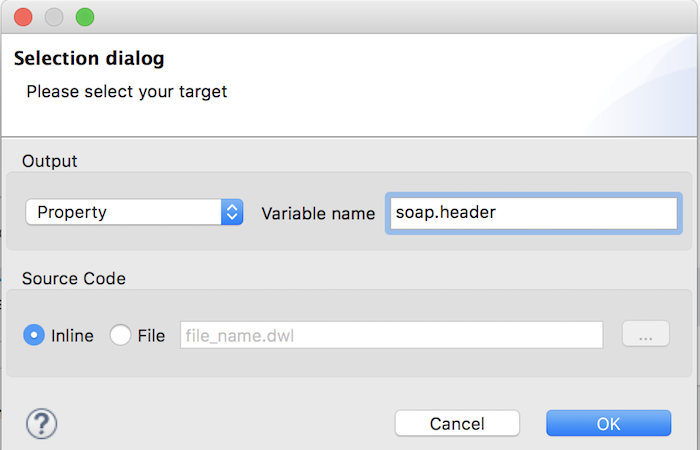 And in case the target URL is down, I want to catch that exception and form a custom SOAP fault and send it back to the SOAPUI. How do I achieve this? I think you can use Catch Exception Strategy to catch the exception and build the SOAP Fault Message to return to client. How can you apply xml threat protection policy to this soap resource from api manager? Implement a SOAP API with two resources. One is to get account detail from salesforce by account id & another one is to delete. Implement a REST API which should act as a wrapper / pass through service for SOAP. ii. and delete confirmation message for delete operation. Please let me know how to implement a soap web service as per the above requirement? You should use Salesforce connector for calling and manipulating with Salesforce. 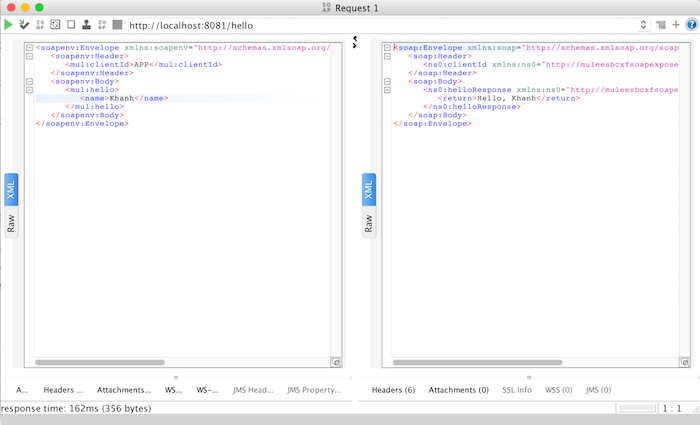 Let define REST API with APIkit Router and implement the calling to SF for each resource. You should research more about SF to understand about it. 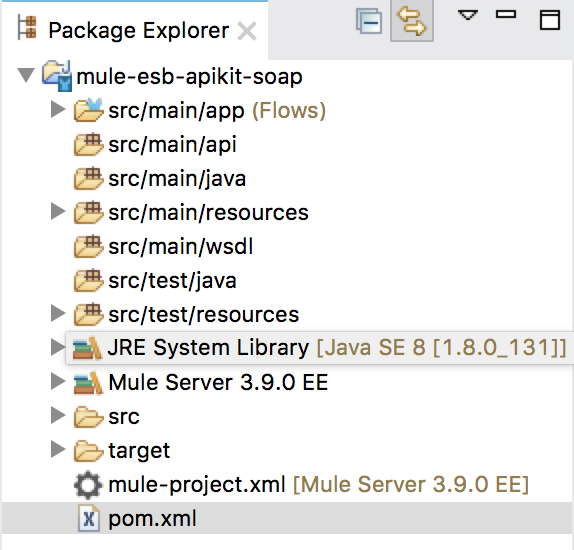 HI Khanh Nguyen, i was trying to create a Mule project to expose a soap service as above and while deploying the project i’m getting an error as below. I’m using Mule 3.9.0 Run-time. Did you manage to solve this issue? I’m having the same here. Thanks for the Article. 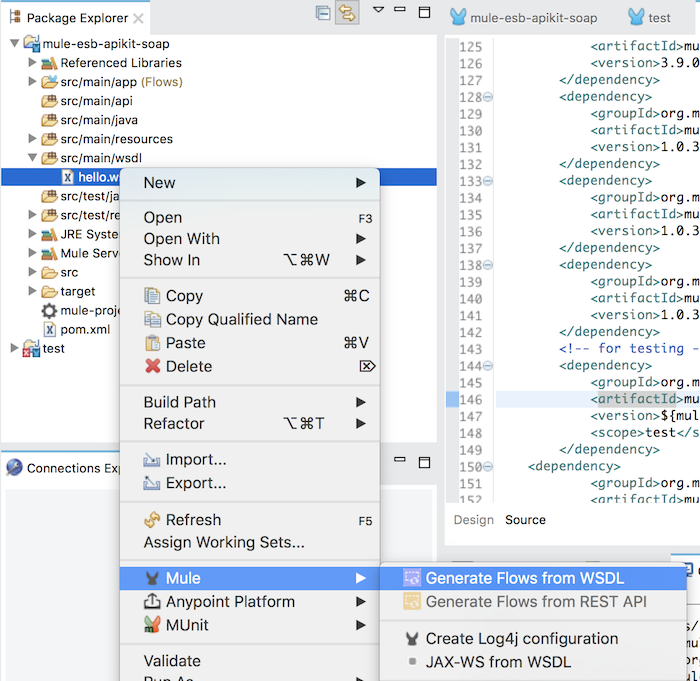 Like RAML for Rest, do we have anything apart from Java code to prepare a wsdl file ?? 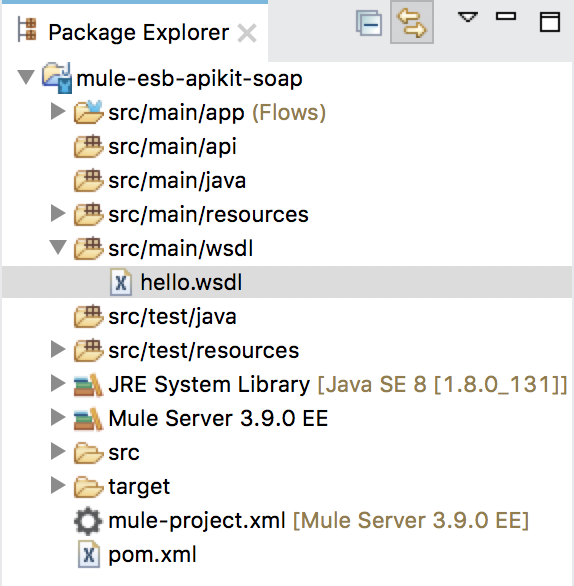 Without Java code, you can create the WSDL file manually, but in this case, you must have knowledge about the structure of a WSDL file.